Vendors: Fri 6am. Spectators: Fri 10am Sat 6am-4pm Sun 6am-4pm. Jefferson – Jefferson County Fair Park – 503 N. Jackson Ave.
Auto Swap Meet & Cars for Sale Corral all three days. Show Cars Saturday & Sunday only. Featuring all Fords – ALL makes/models welcome. Over 3,100 swap spaces and hundreds of cars for sale. Brought to you by Madison Classics. Located at the Jefferson County Fairgrounds (Hwy 18 just 6 mi. south of I-94). Jefferson – Jefferson County Fairgrounds – 503 N. Jackson Ave.
Held in September, this is the rummage sale that everyone looks forward to. Sign up at the Chamber Office this summer to be listed on the map. Participate in this workshop and learn how best to care for your old clothing, quilts, tablecloths, etc. 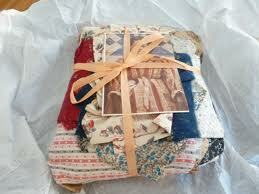 Bring in textiles with problems and receive suggestions for how to remedy problems or where to take for treatment. The annual Paint the Town event will be held on Saturday, September 28. This fun event is the biggest annual fundraiser for both the Lake Mills Main Street Program and the Arts Alliance of Greater Lake Mills, and these two non-profit organizations work together to put on a great night. Enjoy open houses at participating Lake Mills businesses, then come on over to the American Legion and join the party that rounds out the evening. Live music, appetizers, a full (cash) bar and live and silent auctions await you at the final party venue. This event celebrates the renaissance of the downtown Lake Mills as well as local artists, and it helps raise funds for these groups to continue their work in Lake Mills. The event is open to everyone. Paddle on the Rock River, bike in Jefferson County, then run through the woods. A military style obstacle course with drill sergeants at the end provides the twist. Race begins at 9:30am. Participants may go solo or be part of a team. More details on our website. Watertown – 600 Hoffmann Dr.